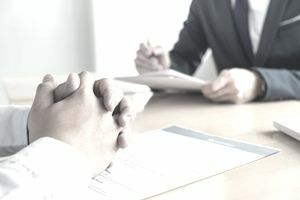 When you're interviewing for a newly opened, vertical position or for an internal job promotion with your current employer, many of the questions you will be asked are standard interview questions that all candidates are expected to answer. If a vertical position on the career ladder at your company opens, find out from your Human Resources department whether management plans to fill the position internally, or whether they plan to seek outside job candidates. If the latter, then you need to be prepared to demonstrate how your history with the employer makes you a more desirable candidate than someone they might recruit from outside. If, on the other hand, it is clear that the job will be filled internally, then your challenge will be to persuade the hiring committee that you are the most qualified of your peers for this job promotion. It will take some finesse – while you definitely will want to highlight your contributions, be careful not to throw your colleagues “under the bus” in an interview. You’ll still have to work with these individuals – and possibly even manage them – if you land the job promotion, so be careful how you answer any questions which ask you to compare yourself to others in line for promotion. Keep in mind that you are not trying to prove that you are “better” than other candidates – you are trying to prove how your own unique experience with the employer and your professional competency has made you the best person to assume the responsibilities that come with promotion. Take some time to think, before the interview, about specific examples you can use to show (rather than just tell) how you would be the employer’s ideal choice for a coveted promotion. There are some things, of course, that are obvious strengths – a solid length of tenure or a continuing record of outstanding annual work evaluations, for example. It’s also good to think of specific instances where you’ve demonstrated the team leadership, “out of the box” thinking, project coordination, or people management skills that you will need in your new role after a job promotion. The big day has arrived, and you’re ready to shine in front of the interviewing committee. When interviewing for a job promotion, here are the specific questions related to the company, your role within the company, and the job you are applying for that you can expect to be asked. If we were to ask the folks in your department to describe you, which adjectives would they use? How, if we promoted you, would you deal with others of your colleagues who have been passed up for promotion? If you were promoted, what would you seek to accomplish in your first three months in this role? Remember, you already work for the company. Differentiate yourself from the competition when you are competing with external candidates by mentioning your company-specific experience, knowledge, and skills when you answer the interview questions. It's easy to feel over-confident with an internal interview. But you should still take the time to review the "standard" interview questions that you will most likely be asked. You should also bring a copy of your resume to the interview and be prepared to speak about your complete job history. You do not necessarily have to wear your typical interview outfit, but do make sure to dress professionally. Here's a good rule of thumb: Dress to match what the people interviewing you typically wear to the office. The interview isn't your only opportunity to make a case for your candidacy. Unlike other people interviewing for the position, you can prove yourself on the job. Be a model employee during the weeks when your company is interviewing candidates. Show off your abilities and skills (and also make sure not to come in late!). Yes, you should still write a thank you letter, even though the interview was internal. First, whether you get the promotion or not, it's nice to be considered, and that's worthy of a thank you. And, as with any interview-related thank you note, your letter is an opportunity to sell your candidacy and highlight any important points you neglected to mention during the interview.